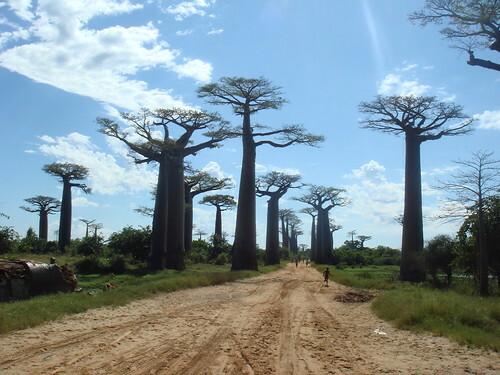 One of the most famous and popular tourist site in Madagascar is a row of about 20 - 25 imposing Baobab trees along some 260 m long stretch of the road and in the nearby pastures between Morondava and Belo Tsiribihina. 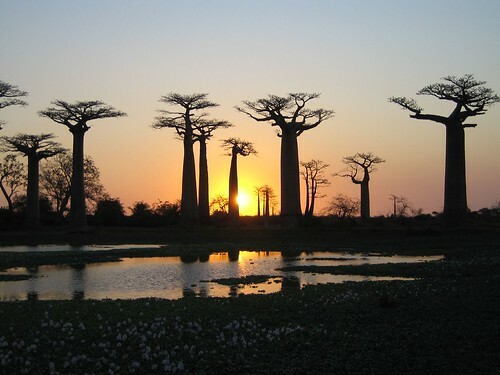 Baobab (Adansonia) is a giant and unusual tree found mainly in Madagascar, Africa, Arabian Peninsula and Australia. Out of 8 known species, six are native to Madagascar alone and most famous and biggest of these is the imposing Grandidier's baobab (Adansonia grandidieri). Some of these trees are reportedly more than 800 years old. 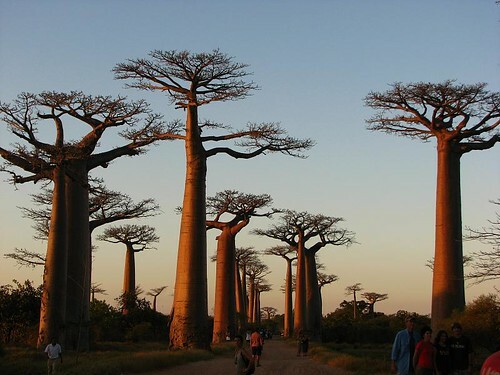 Although there are several thousands Baobab in Madagascar but these small group of trees, along the dusty road present a picturesque sight which turns spectacular during the sunset making it one of the most popular tourist places in the Country. 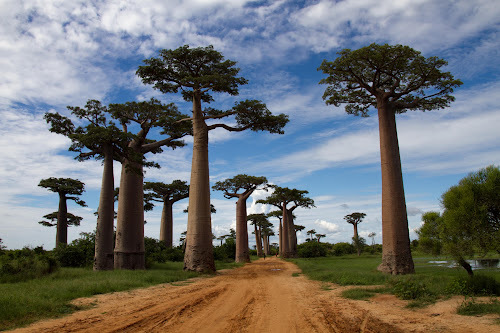 This patch of threes is popularly known as the Avenue of the Baobabs and is the first protected natural monument in Madagascar.